Organic Bloom by BAC is a flowering fertilizer that can help produce excellent quality buds since it's made with only natural ingredients for your plants, a 100% organic product. Organic Bloom by BAC is a flowering fertilizer with 100% natural ingredients so that your plants can produce excellent quality buds. 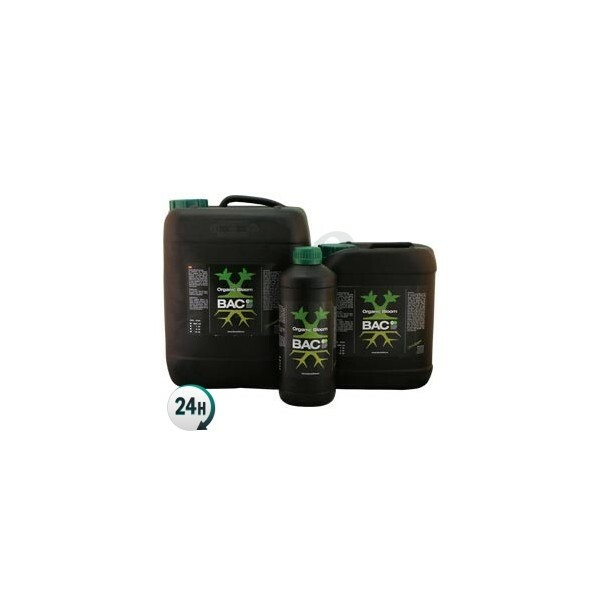 Its high concentration of nutrients comes in the necessary proportion for cannabis plants. It is suitable for soil and coco coir, but it is not recommended to use with automatic watering systems, as it could possibly block the pipes. 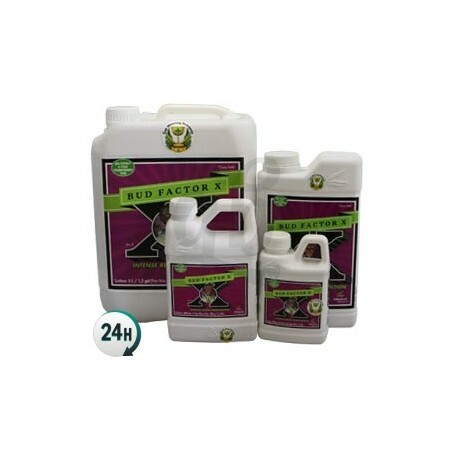 We recommend to adjust the pH level of your nutrient mixture before watering your plants. The best level is between 5.5 and 6.5. If you measure EC, it should not exceed 0.8 mS during the growth stage, nor 0.4 mS when your plants are very young, or with less than 4 pairs of leaves. You should gradually raise the EC in flowering, first 1.2 mS, and then you can climb up to 1.6 mS at the end of flowering. There are strains that tolerate higher levels of EC, but many other plants, such as Haze strains, are more sensitive to fertilizers and if you aren’t careful you can easily over-fertilize them. 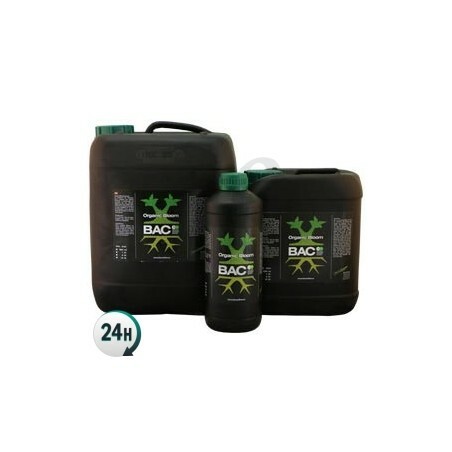 You can combine it with other products for the flowering phase, such as the Bloom Stimulator or Organic PK Booster from BAC, to increase the yield and the fantastic aroma of your crops. You can also consult the simple cultivation table provided by the manufacturer to maximize the effects of your BAC fertilizers. Use 2 to 5 ml/L of water from the start of the flowering period until ten days before harvesting. 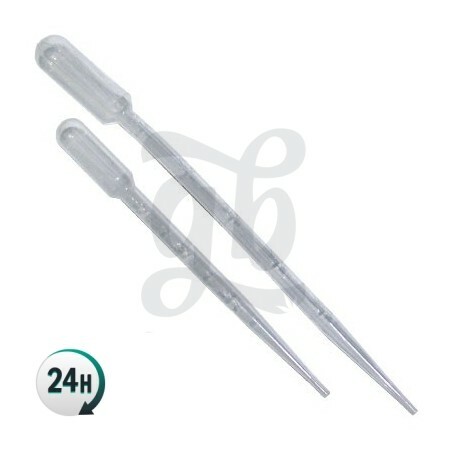 Start by giving it 2ml and finish with 5ml, increasing it gradually. Keep in mind that organic fertilizers become easily attached to soil, so you will have to pay attention and water using fertilizers only every second time, to make sure that your plants' soil does not accumulate a harmful level of nutrients or salts. Use pure water without any nutrients at least once a week to absorb what is left in the soil.